“Uncaging” a Juvenile Development center; Nashville Public Library at Woodland HIlls. 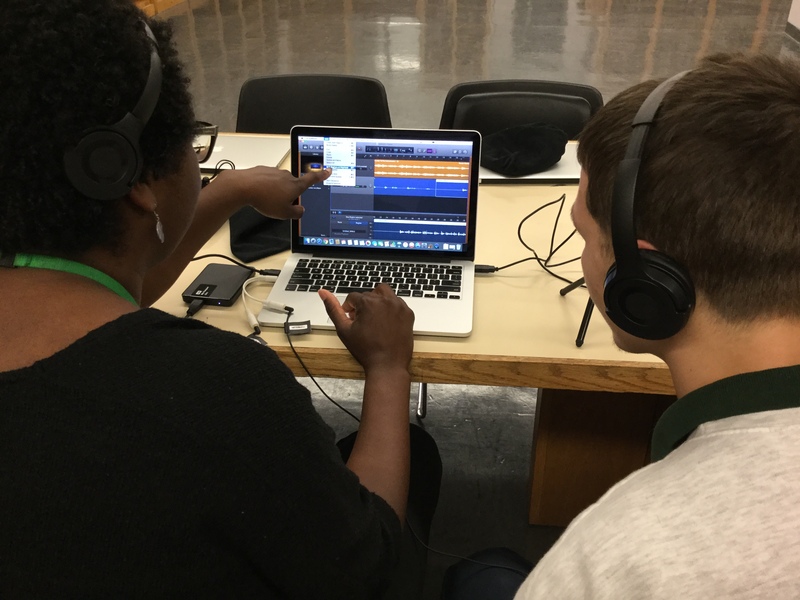 Perhaps you’ve read about the programming that Nashville Public Library is presenting at Woodland Hills Juvenile Development center on the Educator Innovator blog , and as the project winds down, we wanted to use this Site Spotlight to take a look at the environment that the LRNG grant projectーUngaged, how do you define freedom: Connected Learning in a juvenile justice centerーhelped to create . When the LRNG project team, Raemona Little Taylor, Zach Duensing and Joseph Bazelais arrived for programming at the the library in Woodland Hills, it was an underutilized library space with outdated books. No graphic novels, comics, or other materials that the youth seemed to be particularly interested in. Technology was minimal, and access to the computers, internet, and other emerging technologies was limited. With funds from the LRNG grant, Teen Librarian Raemona Little-Taylor worked with Studio NPL to purchase a technology package that could live at the center for the duration of the grant. “We bought 6 iPads,” Raemona reported,“two USB mics, a macbook pro, plenty of headphones, and a DSLR camera and camera accessories.” This equipmentーenhanced with Studio NPL equipment on loan from the mobile labー “brought access to technology and an opportunity for the students to experience an extent of digital equity”. The team working under the LRNG grant were able to create an informal learning space that brought a new energy to the Woodland Hills students, “since the teens are incarcerated, they have limited space to express themselves creatively” says Raemona, “we’ve had teachers and guards express how positively they've seen the teens engage with the library team and mentors. Teens who have had conflict and physical altercations in the residence halls; when they are in our space they seemed to find a neutral environment where they can work collaboratively.” For them, the benefits of being allowed to be in the space, to use the technology and have access to mentors outweighs their personal conflicts. They invested in the work, and in the environment. The LRNG grant comes to a close for Nashville Public Library in June 2017. The team from NPL hopes to continue their work embedded within the school at the center, and engage more library departments and services in programming with this unique population. Raemona looks optimistically towards the future of the relationship and the programming; “In spite of the challenges with the lack of internet access, we’ve seen success in implementing digital programming and expressive media creation. I’d like to see the schools in detention centers like Woodland Hills learn from the informal learning environment we were able to create and the paradigm shift we were able to initiate in that space, and inspire future programs and Woodland Hills staff to continue innovative programming. 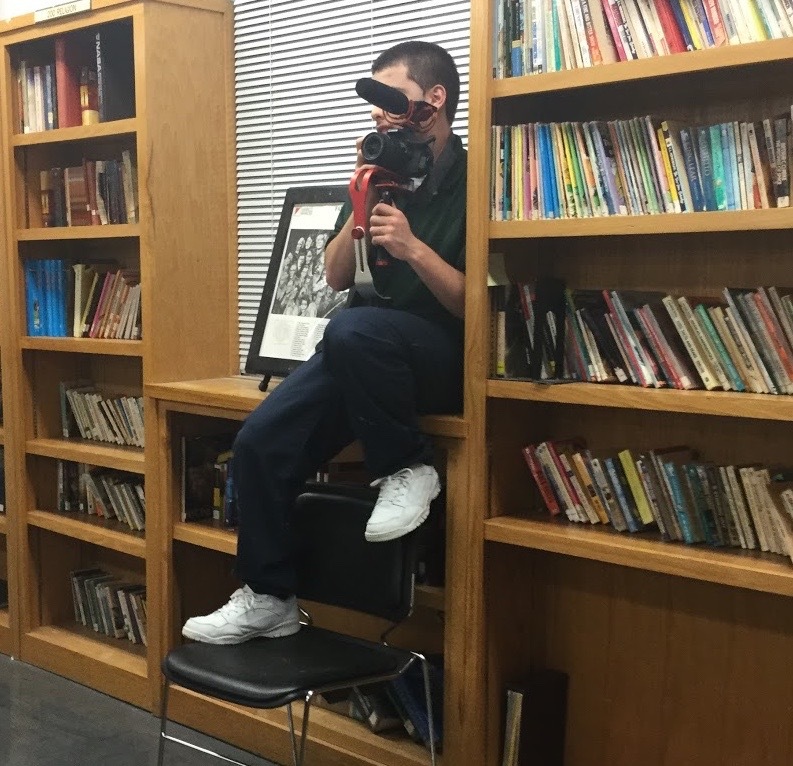 I hope we’ve been able to demonstrate the rich capabilities of technology in the classroom, even with the online restrictions based on their incarcerated status.” Meanwhile, the NPL team will be waiting with open arms to receive them at our libraries when their time has been served.